Volunteers are making a difference in Rio—they have distributed a million drug education booklets to the athletes, the international crowd attending, and hundreds of thousands in the slums (favelas) of the city. While more than 11,000 athletes from 207 nations competed in the Olympics, another contest was taking place in Rio—one that affects the lives of millions of people worldwide. This competition pitted Olympic contestants and thousands of volunteers against the drug abuse epidemic that endangers every segment of society. A 2012 survey by the University of São Paulo found an estimated 400,000 Brazilians consume crack cocaine regularly and thatBrazil consumes more crack than any other country. Internationally, illicit drugs are a $400 billion industry. In the United States, the Bureau of Justice Statistics reports that more than 17 percent of those in prison committed their current offense to obtain money for drugs. 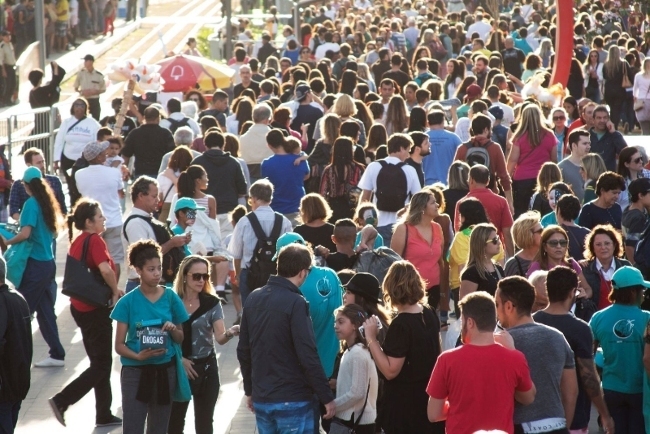 To make a massive impact in Brazil and around the world, the city of Rio backed the Foundation for a Drug-Free World‘s efforts, arranging for the Drug-Free World public service announcements to play on the Olympic Live Site screens, reaching some 1.5 million. The city also paved the way for thousands of volunteers who have handed out 1 million copies of The Truth About Drugsbooklets since the start of the games. Drawing on 25 years of experience in drug prevention, the Foundation’s Truth About Drugs program has solved the problem of effectively communicating to teens and young adults the reality of drug abuse, individually and through mass communication. The Foundation for a Drug-Free World is a public benefit corporation that empowers youth and adults with factual information about drugs so they can make informed decisions to live drug-free.